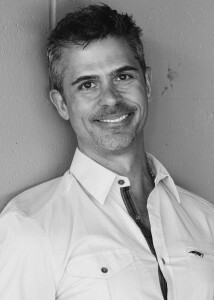 Joe Somodi is an author, public speaker, avid yoga and health enthusiast and life-long teacher. Joe’s mission is to help people gain 20/20 insight into their lives so they live with more purpose and joy. His teachings bridge the ancient practices and time-tested wisdom of Hatha Tantra Yoga and the modern world. He recently moved to Fort Collins from New York City and is still adjusting to the peace and quiet of the state. Over the past ten years, he has traveled across the United States conducting workshops and seminars and lead sold out retreats. He is currently leading 30 Day Meditation Challenges and is building a community of men in FoCo who want to dive deeper into their minds and bodies. Joe is a registered and certified yoga teacher with over a thousand hours of practical teaching. He is one of only 60+ ParaYoga® Certified teachers in the country which teaches a blend of Ayurveda, Hatha and Tantra yoga. His teacher, Yogarupa Rod Stryker, is based in Carbondale, Colorado. He is also a level 2 Reiki Master and a Certified Life Coach.